Back in my day, father-child bonding was done over an Airfix kit. Things have moved on a little since those gentle days, it seems. 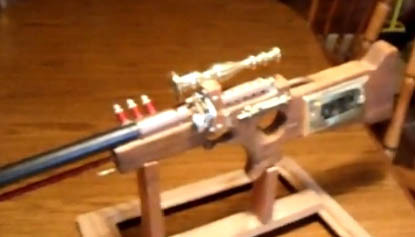 Now it seems that the way of the future is building a steampunk rifle with your kid!